I picked up Yuval Yonay’s The Struggle Over the Soul of Economics: Institutionalist and Neoclassical Economists in America Between the Wars in a 2nd hand bookshop, the wonderful Westwood Books in Sedbergh. 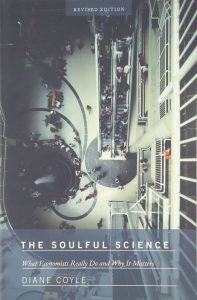 How could I, the author of The Soulful Science, resist such a title? It’s quite interesting, although you do have to be pretty interested in the history of thought and methodology of economics to read it (cough). It was published in 1998, which I’d say was past the peak of the rational expectations/RBC takeover of economics. Still, there was still plenty of that kind of economic modelling around. I’m not completely convinced by the argument mainly because the book gathers so many people under the umbrella of ‘institutionalist’. Veblen, of course, John Commons and Wesley Mitchell his successors. Both of these were obviously highly influential. Yonay then lists a number of others around the same time whose names were new to me, such as Charles Cooley and Robert Hoxie. He also identifies a later wave of institutionalists, one branch pursuing issues of industrial organisation and labour relations, another the questions of measurement and business cycles: John Maurice Clark, Gardiner Means, Arthur Burns, Simon Kuznets. This category, it seems to me, could be labelled ‘anybody not solely theoretical’. While it’s certainly true that the status of theory (of a particular kind) in the economics profession grew and grew in the post-war decades, the empirical approaches informed by a deep knowledge of institutional reality were always there, even through the height of the rational expectations, real business cycle revolution. The proportion of top journal articles that were purely theoretical increased until probably around the time Yonay published this book, and has since declined considerably. 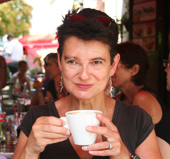 Institutions now feature big time in economics, economic history and geography are expanding sub-fields, behavioural economics is altering the choice assumptions in economic models, information asymmetries and transactions costs are everywhere. These were the kinds of developments I described in The Soulful Science. Even economic measurement is baaaack now. Perhaps it will turn out with hindsight 10 years from now that the period from about 1975-1995 was the aberration in economics. It had deeper roots of course – Lionel Robbins gave forceful expression to the ‘neoclassical’ individualist and reductionist approach in 1932 – and it lingers on too, in Chicago and elsewhere. 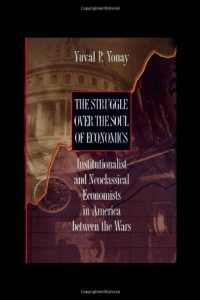 But it would be interesting to see an update of the detailed sociological approach Yonay takes in The Struggle over the Soul of Economics – as opposed to the usual mud-slinging by some sociology critics of economics who don’t read what most economists themselves do, but assume the bowdlerised version of 1980s and 90s economics still dominant in the policy world remains the intellectual mainstream. Anybody who doubts me should just look at the programmes for the Royal Economic Society or American Economic Association conferences this year. I still contend economics has (regained) its soul.